Basava [also known as Basavanna] flourished in the 12th century in Karnataka. 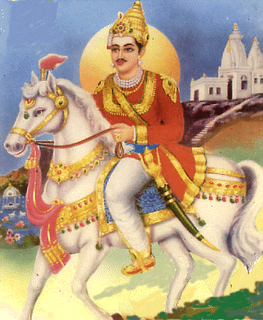 He was a Prime Minister to king Bijjala who ruled from 1157 to 1167 over Kalyana, a city of historic importance. Basava was indeed a great prophet for in him we find the combination of rare qualities. He was a mystic by temperament, an idealist by choice, a statesman by profession, a man of letters by taste, a humanist by sympathy and a social reformer by conviction. Basava strove hard to bring about reformation in Hinduism into which social evils had crept in. The social and cultural conflicts which had been going on in India from ancient days were stimulating a new foment within the Hindu society. At the time of Basava there were apologists who had been giving a new interpretation to the irrational religious practices and form of thought. But Basava with a courageous frankness acknowledged the prevailing evils of the Hindu society and suggested ways and means to create a new orientation.